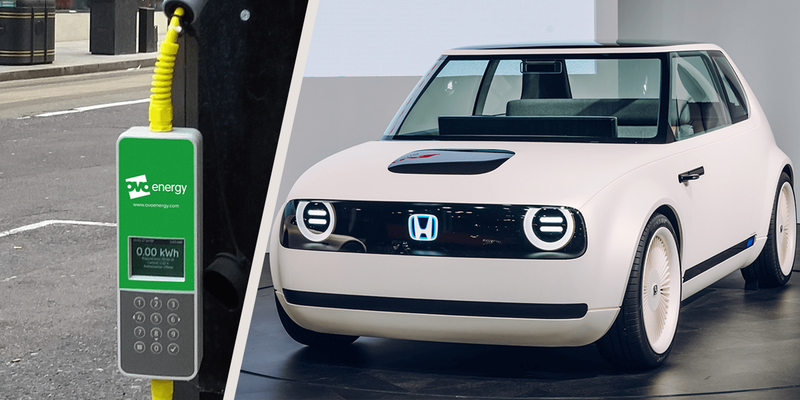 Honda has acquired a significant stake in the Berlin-based company Ubitricity as part of a new financing round. The Japanese automobile manufacturer may have far-reaching plans with Ubitricity’s mobile metering technology. A few days ago, from well-informed circles, electrive was able to glean the information about Honda’s participation in the Berlin-based company specializing in mobile electricity meters that for example turn street lamps into charging posts. Now a short announcement from deutsche-startups.de (based on the changes in the commercial register) confirms the Japanese manufacturer’s investment. 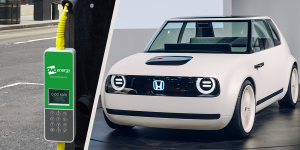 Honda has apparently secured itself 15% of Ubitricity shares, and the Berlin company’s old investors – Siemens, EDF Germany, IBB Beteiligungsgesellschaft and the former Daimler and railway boss Heinz Dürr – have again invested in the company founded in 2008. Ubitricity neither wanted to confirm nor deny current developments to electrive, saying that their communication of any new developments will take place in due time. For the founders Frank Pawlitschek and Knut Hechtfischer, the Japanese investment is most likely fulfilling a significant element of their original vision. Right from the beginning, the idea was that their technology would be installed in vehicles by a car manufacturer. No doubt the slow ramp-up of electromobility in Germany made things difficult. Ubitricity’s goal has always been “to make the car even more intelligent than an intelligent consumer and to make the infrastructure stupid,” said Pawlitschek in a video interview with our German edition, electrive.net, at the Hannover Messe 2018. In other words: The car comes with its own electricity meter so that the control over energy data conforming to calibration law and the contract with the customer can be attached to the vehicle – and not to an expensive infrastructure on the roadside.